Edward Tyler Nahem is pleased to announce an afternoon of talks focusing on the work of Iranian artist Farideh Lashai (1944–2013), at The British Museum on Sunday, November 12, 2017. Lashai's last work, When I Count, There Are Only You...But When I Look, There Is Only a Shadow, features in the Museum's current Asahi Shimbun Display, On Violence and Beauty: Reflections on War in Room 3. 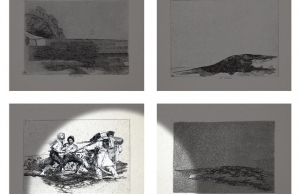 It is a video work based on Francisco Goya’s series of etchings,The Disasters of War. 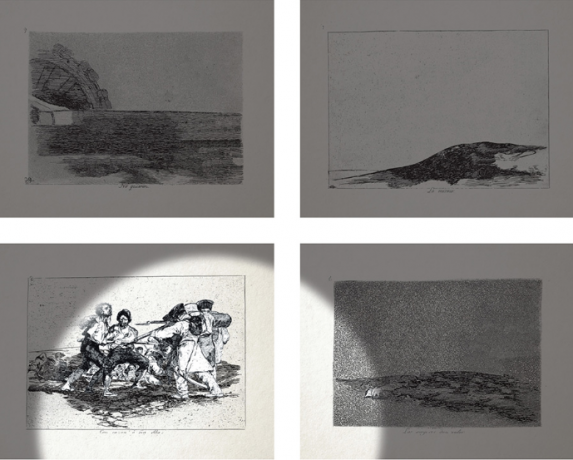 Speakers will consider the importance of Goya's print series, why Lashai chose Goya for inspiration, how the work was made, the world she inhabited, and how Lashai’s work was received in the three museums it has been shown during 2016 and 2017: Sharjah Art Foundation, MSK Gent, and the Museo del Prado. 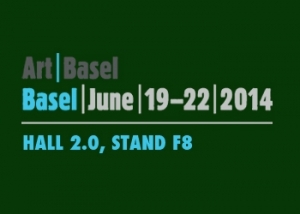 Speakers: Sussan Babaie, Antony Griffiths, Yashar Samimi Mofakham & Tarlan Rafie, Venetia Porter, Sheikha Hoor Al Qasimi, Catherine de Zegher and Ana Martinez de Aguilar. A film about Farideh Lashai by Kambiz Safari will be introduced by Maneli Keykavoussi, Farideh’s daughter. A reception and private view of the exhibition follow the talks. 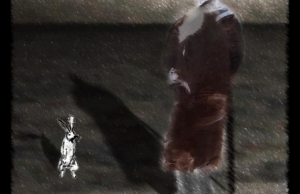 The Museo del Prado and the Fundación Amigos del Museo del Prado are presenting the last work by the Iranian artist Farideh Lashai (Rasht, 1944 – Teheran, 2013), When I count, there are only you…but when I look, there is only a shadow (2012-13), a video installation inspired by Goya’s Disasters of War. 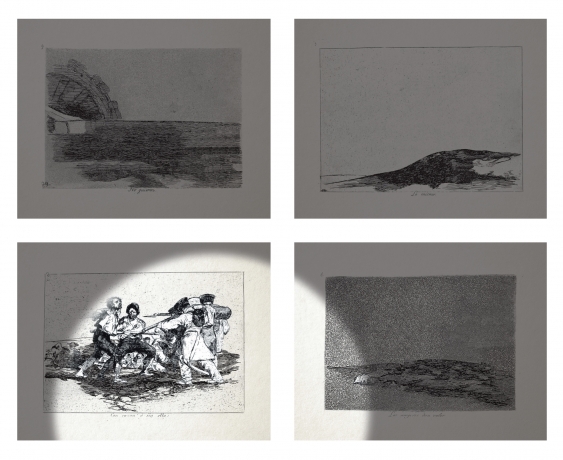 Farideh removed the figures and modified the images in this iconic print series in order to present them accompanied by animated images which are projected onto them from a moving spotlight. Edward Tyler Nahem Fine Art is pleased to announce EYEWITNESS: FRANCISCO GOYA & FARIDEH LASHAI, on view at the Museum of Fine Arts in Ghent through May 7, 2017. During the spring of 2017, the Museum of Fine Arts, Ghent brings together two artists in the newly established Drawings Cabinet. The exhibition Eyewitness links the social criticism of the Spanish artist Francisco Goya (1746-1828) to the social commitment of the Iranian artist Farideh Lashai (1944-2013), in a shared indictment against violence and oppression.Edward Tyler Nahem Fine Art is pleased to announce EYEWITNESS: FRANCISCO GOYA & FARIDEH LASHAI, on view at the Museum of Fine Arts in Ghent through May 7, 2017. During the spring of 2017, the Museum of Fine Arts, Ghent brings together two artists in the newly established Drawings Cabinet. The exhibition Eyewitness links the social criticism of the Spanish artist Francisco Goya (1746-1828) to the social commitment of the Iranian artist Farideh Lashai (1944-2013), in a shared indictment against violence and oppression. 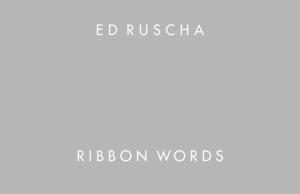 Focusing on Ed Ruscha’s ribbon word works begun in 1966, Ed Ruscha: Ribbon Words, is the first major exhibition and publication devoted exclusively to this important part of the artist’s influential oeuvre. Published to accompany the exhibition currently at the gallery, this richly illustrated catalogue features reproductions of more than 50 masterpieces, along with a comprehensive essay by the show’s curator Dieter Buchhart, as well as contributions by Glenn O’Brien and Alexandra Schwartz. 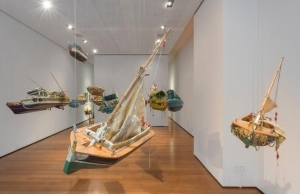 Hew Locke's exhibition entitled, The Wine Dark Sea, is a presentation of his acclaimed sculptures of boats. Locke has created an entirely new series of vessels, of varied scale and brilliant color, which will be suspended from the gallery ceiling at eye level. His boats are both contemporary and historical - clippers and container ships, battleships, ghost ships, and lifeboats - all together encompassing a spectacular sculptural environment. 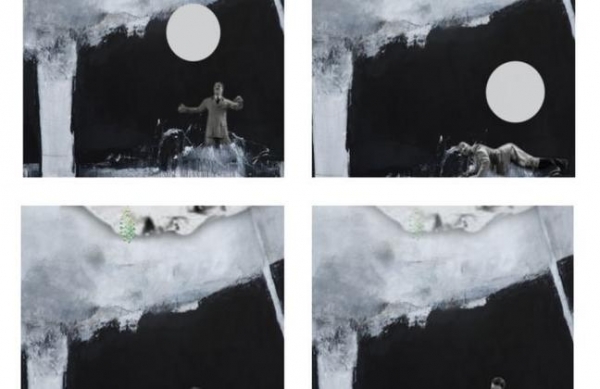 Some of the most prominent paintings at Tehran’s Museum of Contemporary Art might still be the obligatory glares of Iranian leaders Sayyed Ali Hosseini Khamenei, and Ruhollah Moosavi Khomeini, whose twin stare looks down over public spaces across Iran. But from this month British visitors to the Islamic Republic will be also able to see works by Jackson Pollock, Francis Bacon and Rene Magritte that have been stashed in basements for nearly 40 years. A new exhibition at the Tehran museum will display paintings by western artists that were hidden after the 1979 revolution, when they were banned as symbols of decadence and excess by Islamic leaders. 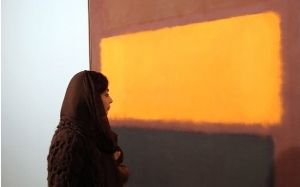 An exhibition of works by the late Iranian abstract artist Farideh Lashai, which opened last week at the Tehran Museum of Contemporary Art (until 26 February 2016), has been co-organised by the Italian scholar Germano Celant. The show marks the first time that a prominent non-Iranian curator has presented an exhibition at the museum since the Islamic Revolution in 1979, reflecting a growing rapprochement with the West. 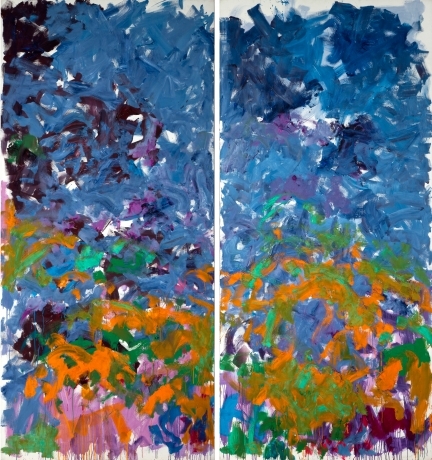 Joan Mitchell at Edward Tyler Nahem, through December 18. 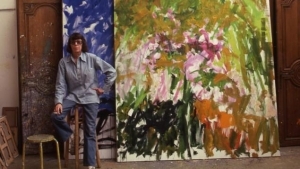 A woman artist grappling with the uber-macho milieu of the Abstract Expressionists in New York in the 1950s, Joan Mitchell more than held her own—in the studio as well as at the bar. 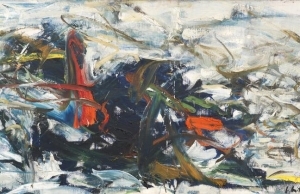 In the midst of those hard- driving, heavy drinking days, she managed to develop a style of gestural abstraction that is as muscular and ambitious as anything her peers turned out. 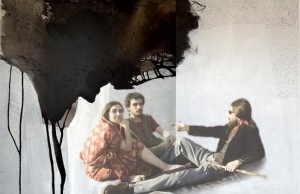 The Davis Museum at Wellesley College presents Farideh Lashai: Only a Shadow, an exhibition that centers around Farideh Lashai’s renowned 2012-13 multi-media installation, When I Count, There Are Only You...But When I Look, There Is Only a Shadow. 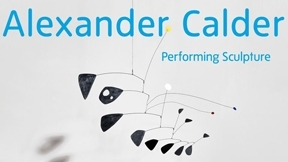 Edward Tyler Nahem Fine Art secured the loan of Alexander Calder's Chef d'Orchestre, 1967 from an important American collection for the exhibition Alexander Calder: Performing Sculpture at the Tate Modern. Read more about the exhibition in this Financial Times article. The exhibition, entitled “Farideh Lashai: Towards the Ineffable,” opens November 20 at the Tehran Museum of Contemporary Art and marks the first time a non-Iranian curator of such stature has curated an exhibit at the museum since the revolution. Javaherian and Celant have created an anthology of works by the Iranian modernist Farideh Lashai, who became one of Iran’s leading artists of the era before dying in 2013 at age 68. The Western works are being presented as context for Lashai’s retrospective, and the Farideh Lashai Foundation was instrumental in putting on the exhibition. Iran, India, Pakistan, Afghanistan, Iraq, Central-Asian Republics, Kurdish Region: art, artists, and culture from the heart of the world. The idea of this exhibition comes from the consideration that the geographical area of these Countries is, in fact, a historically unique territory, its destiny indissolubly linked by its historical and cultural situation: around these places there took place, and still takes place, what since the XIX century has been known as "The Great Game" for supremacy in Asia. 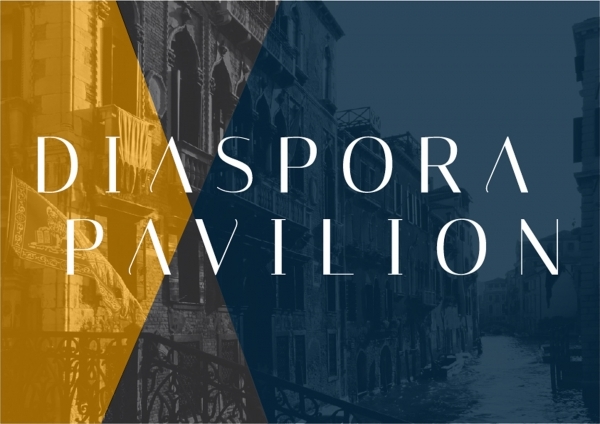 A tangle of political, economic, religious, and social situations also finds an expression and interpretation in the art produced in these places, and it is this that the exhibition proposed for la Biennale Arte 2015 hopes to show through the work of some forty artists working in the region and who are particularly aware of social-political questions. Edward Tyler Nahem Fine Art congratulates Andres Serrano for his participating in the 56th Venice Biennale. "Slip of the Tongue", a unique project conceived by Danh Vo in collaboration with Caroline Bourgeois, will open at Punta della Dogana. Designed specifically for Punta della Dogana, the exhibition follows a path that suggests a dialogue between his own works and a selection of works from the Pinault Collection. We are pleased to announce our upcoming exhibition, METROPOLIS: Paintings of the Contemporary Urban Landscape, curated by David Ebony. The opening reception will be held on Wednesday, April 29th from 6 to 8 pm. Works by Huguette Caland, Jules de Balincourt, Erik Benson, Bruce High Quality Foundation, Richard Estes, Ralph Fleck, Bill Jacklin, Julie Mehretu, Ron Milewicz, Enoc Perez, Ed Ruscha, Gary Simmons, Melanie Smith, and others. iROZEALb : “The Image of the Black in Western Art”. 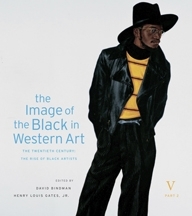 We are very pleased to announce gallery artist iROZEALb's inclusion in the recent publication, "The Image of the Black in Western Art". 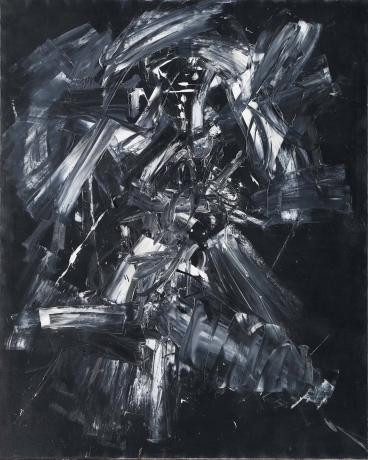 Edward Tyler Nahem Fine Art, New York, has partnered with the U. S. Department of State's Art in Embassies program to facilitate loans of important works by Spanish artists including Eduardo Chillida, Antonio Saura, and Antoni Tàpies. 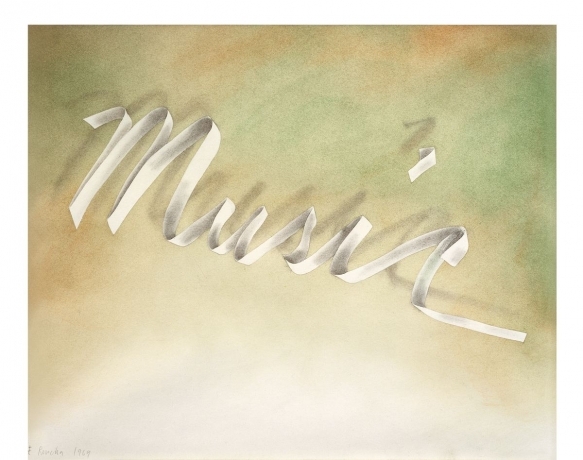 These works, all hailing from a private collection in Spain, are exhibited at the United States Embassy in Madrid alongside other significant works by Josef Albers, Willem de Kooning, Roy Lichtenstein, Agnes Martin, Robert Rauschenberg, Ed Ruscha, and many others. This impressive selection has been curated as a tribute to cultural fusion by the Ambassador James Costos and his partner, Michael Smith. 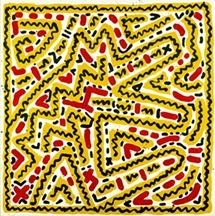 The gallery has facilitated the loan of a work by Keith Haring to the exhibition "Keith Haring: The Political Line" at the De Young Museum in San Francisco. The exhibition opens November 8th, 2014. For more information about the exhibition and the artist, check out the De Young Museum website. 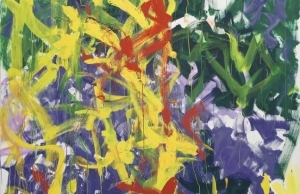 June 2, 2014 -- Edward Tyler Nahem Fine Art, New York, will exhibit a range of important works at Art Basel, Switzerland, June 19-22, including two exceptional, rare paintings, Woman (Arthur’s Woman), 1969, by Willem de Kooning and 20 Pink Maos, 1979, by Andy Warhol. 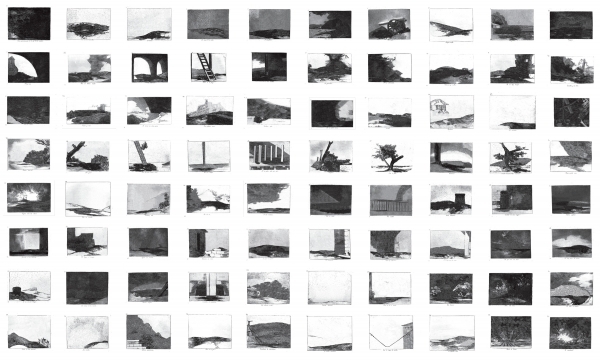 In addition, the gallery will present significant paintings by Ed Ruscha, Jean Paul Riopelle, and Alex Katz, among others. As one might imagine, the Brooklyn Museum’s Artists Ball had no shortage of artists (or art) present. From artist-designed dinner tables by stars like Olek, Orly Genger, and Nina Katchadourian to walls festooned with candy, the museum went all out for their annual fundraising gala. Two incredible exhibits, “Ai Weiwei: According to What?” and “Swoon: Submerged Motherlands” were available for viewing throughout the evening. The party continued well into the night with a dance party featuring a performance by rapper Le1f. The crowd was refreshingly diverse, with ensembles ranging from gowns to jeans and everything in between. The First Lady of New York, Chirlane McCray stopped by, as did Senator Charles Schumer, but unfortunately they didn’t stick around for the after party. Other famous faces included Padma Lakshmi, Judy Chicago, and Millie Brown (who you may recognize as Lady Gaga’s vomit artist). You eat with your eyes first, goes the old culinary proverb. 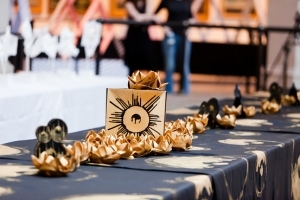 On Wednesday night, the dinner served at the Brooklyn Museum’s Brooklyn Artists Ball will be a visual feast thanks to the multisensory table environments created by 16 leading local artists. “Having been to scores and scores of major fundraising events over a decade, it’s much more fun when there’s something to focus on other than the chicken on your plate,” said Arnold Lehman, director of the Brooklyn Museum. “Brooklyn has become the creative capital of the world,” said Mr. Lehman. 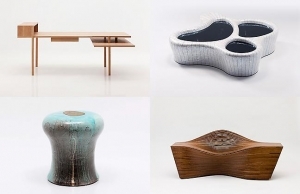 For its first design-focused foray, the New York fine art gallery is presenting a show of recent work by four of South Korea's most important contemporary designers - a quartet of creatives whose work celebrates the purity of natural forms and materials. 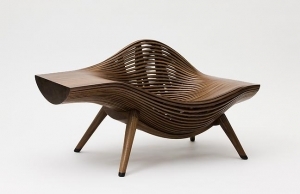 A new exhibition at New York's Edward Tyler Nahem Fine Art provides an exclusive look at furniture from Korea's hottest design stars. 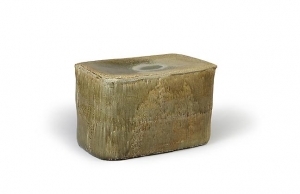 Edward Tyler Nahem Fine Art (ETNFA) announces Korean Contemporary Design: Kang Myung Sun, Bae Se Hwa, Bahk Jong Sun, and Lee Hun Chung in an exhibition of objects and furniture. Korea’s top designers incorporate tradition, craft and a reverence for raw materials in their works while being absolutely contemporary in function and feel. The exhibition will be on view from February 26th through April 4th, 2014, with an opening reception on Wednesday, February 26th from 6PM – 8PM. 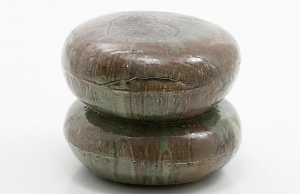 The appetite for Korean contemporary design has expanded globally in the last five years, with celebrated collectors of both design and modern and contemporary art embracing the movement. Sculptural, graceful and functional, the works in this exhibition would be home in a range of environments, from traditional to contemporary. 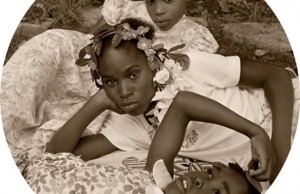 Edward Tyler Nahem Fine Art has loaned a photograph to the Guggenheim's exhibition, Carrie Mae Weems: Three Decades of Photography and Video. 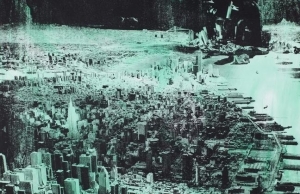 The exhibition is on view at the Guggenheim until May 14, 2014. 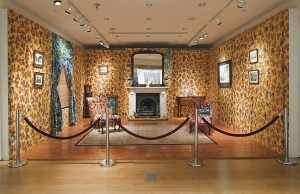 Edward Tyler Nahem Fine Art has facilitated the loan of a work by Yinka Shonibare to the exhibition, "Yinka Shonibare MBE: Magic Ladders,” at the Barnes Foundation in Philadelphia. The exhibition is on view until April 21, 2014. An exhibition of new and recent work by iROZEALb (iona rozeal brown) opens in the Riley Contemporary Art Gallery at the Joslyn Museum of Art on February 8th. 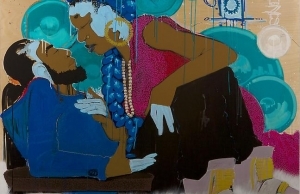 In addition to three new paintings on panel, the artist will debut a mural painted on site.